One of the participants shares tips on shooting with a D.C.-area coaching peer. The South Sudanese coaches join together after an intensive “training the trainer” clinic. One of the coaches from South Sudan works on dribbling drills with a young athlete in Washington, D.C. 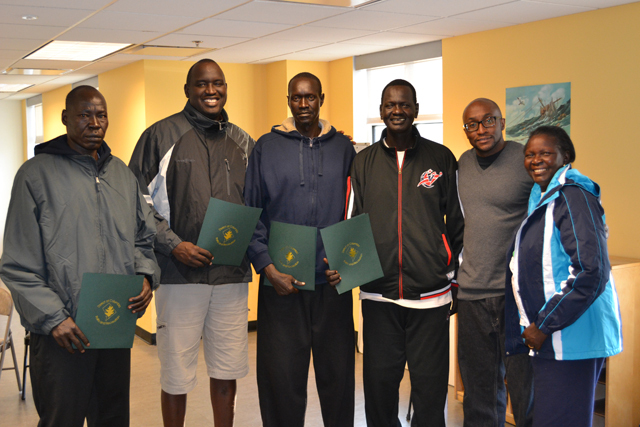 The South Sudanese coaches meet with representatives of D.C. Parks and Recreation to discuss sports infrastructure development. 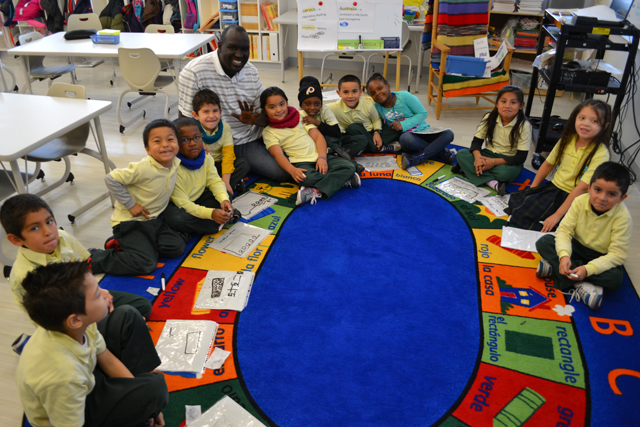 The South Sudanese basketball coaches visit a D.C.-area kindergarten class to learn about the U.S. school system. 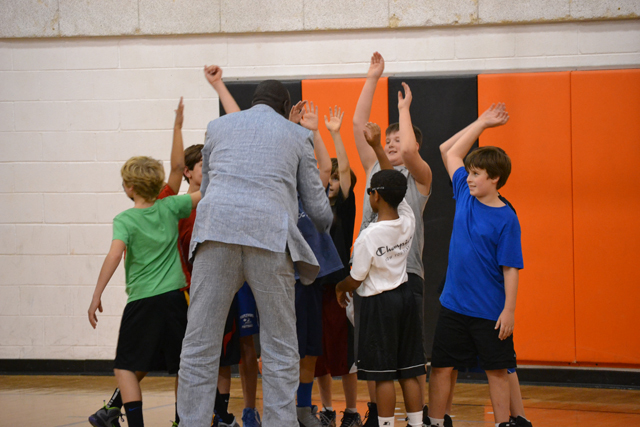 One of the South Sudanese coaches high-fives young American basketball players after a friendly scrimmage. The group from South Sudan participates in a teambuilding and strength conditioning session. 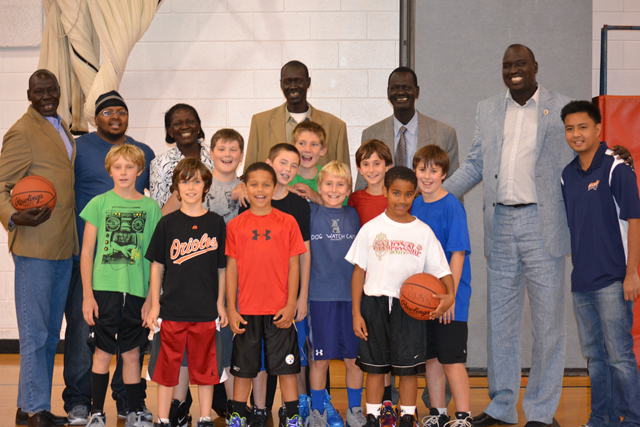 The South Sudanese coaches join a boy’s basketball team for practice at a local-area elementary school. The delegation meets with Gheorghe Muresan, a former NBA player and actor. 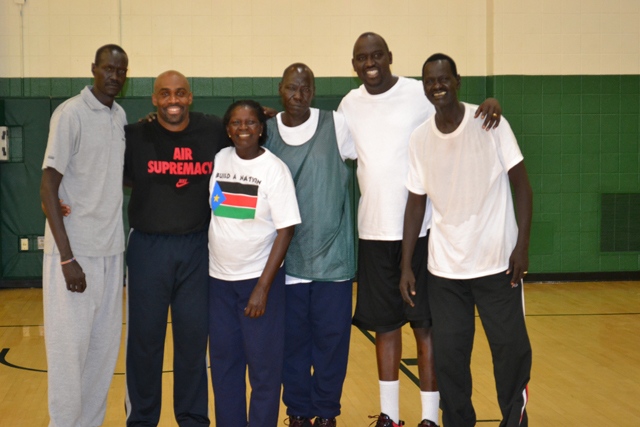 Sports Diplomacy brought five coaches to the U.S. from South Sudan for a dynamic people-to-people exchange focused on creating opportunities for young South Sudanese to play basketball. 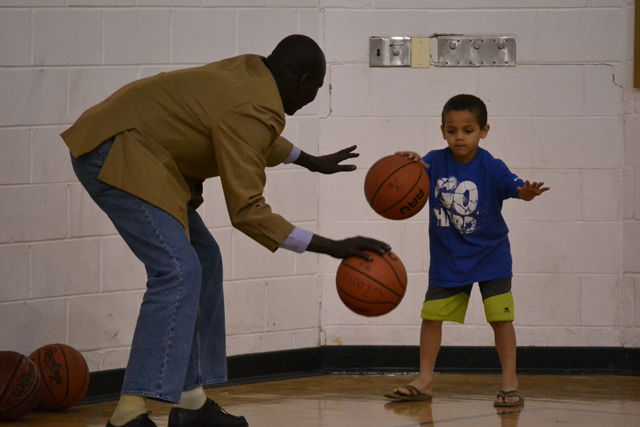 From November 8 to 20, the South Sudanese delegation worked with young American athletes at local schools, met with U.S. professionals in the sporting sphere, participated in an NBA clinic, and engaged in activities focused on teambuilding and conflict resolution. 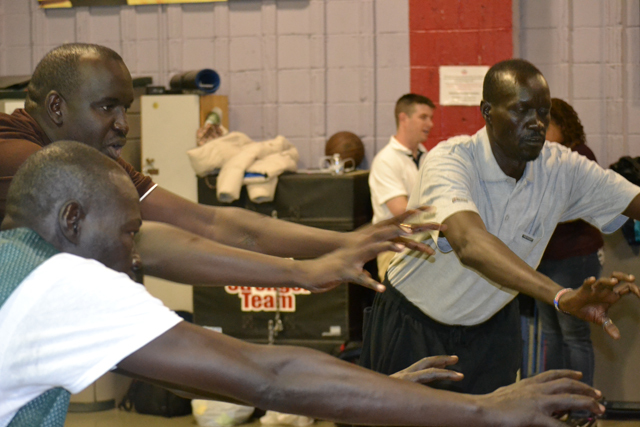 Taking place in the Washington, D.C. area, this exchange marked ECA’s first Sports Visitor program with South Sudan. 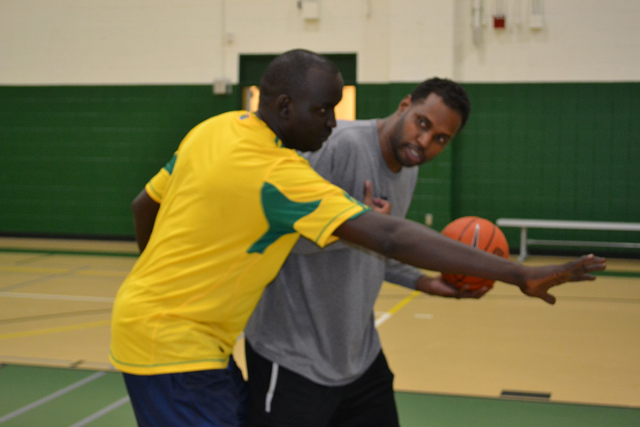 The program followed up on a Sports Envoy Program in October 2011 when NBA Legends Sam Perkins and Dikembe Mutombo went to Juba.